Buyers – Pineapple Realty, Inc.
We will listen to your requirements and show you only those properties in your price range that meet your specifications. We will assist you in securing financing that meets your individual needs. We will be there for you during the buying process, and be available to answer any questions you might have. After we find your new home, we will set up the home inspection, termite inspection, and any other inspections required by the terms of the purchase contract. We will provide you with the benefit of our knowledge on market trends in our market area and relocation assistance outside our market area. We will zealously represent you and negotiate on your behalf with Sellers, and keep you informed about these negotiations. We will provide an evaluation and home comparables for each property you are interested in so you can formulate an offer and pay no more than fair market value. 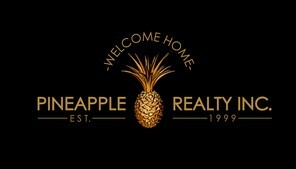 Because we focus on building long lasting relationships and consider each of our clients part of the Pineapple Realty family, you will remain in our Preferred Buyers Program even after the sale. Each month, you will receive one of our informative newsletters, receive special discounts and have access to our preferred providers, participate in our annual events, and much more! Fill out the form below, hit the submit button, and we will begin the process of doing what we do best – working with you to find YOUR new home!! 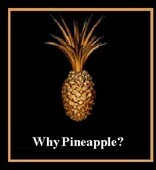 Please help us fight spam and answer the following question before clicking on Submit.